Elliptical machines are ideal when you want a low-impact, wellness-supporting workout you can do at home. With adjustable resistance, elliptical machines can provide a challenge for all fitness levels from beginners to advanced. They will also track your distance, fitness progress, calories burned, and more. Because they provide a very low-impact workout, they’re terrific choices for those suffering from joint, knee, or other lower body pain. California Spa & Fitness has a large selection of the highest quality elliptical machines in the industry. Whether you’re looking for a budget-friendly model or a fully loaded option, our staff will offer the personalized service you’re looking for and the knowledge you need to make the right choice of fitness equipment. 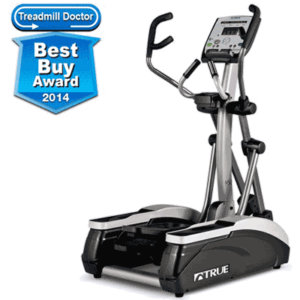 Elliptical machines are some of the most popular gym and home-gym machines available today. Using an elliptical is a great way to do a low-impact cardio workout. If you’re looking to add an elliptical to your home gym, know there is more than one type of machine labelled “elliptical.” There are plain elliptical trainers, elliptical cross-trainers, and elliptical gliders to consider. Each has its own distinct characteristics to consider. Here are the three main types of elliptical machine’s you’ll see available to purchase for your home gym. An elliptical trainer machine is characterized by its stationary handlebars and pedals that move on a glider ramp. To use the machine, you stand on the pedals and push them to make circular movements. This type of movement works your quads, glutes, and hamstrings through knee and hip extensions. You can pedal forward or backward on an elliptical trainer to increase resistance for different muscle groups. Unlike elliptical trainers, elliptical cross-trainers work your upper and lower body. The pedals and lower body movements are the same as on an elliptical trainer, but the machine also includes handles which move back and forth. The idea behind the handles is to push and pull in an alternate pattern to your feet. This motion works your shoulder, upper back, and chest muscle groups. Elliptical gliders look very similar to elliptical trainers. Both have stationary handlebars and pedals. However, elliptical gliders do not have tracks on which the pedals move in a circular motion. Instead, the pedals move up and down at a backward angle, working your leg muscles through hip and knee extensions. You can also pedal forward and backward on an elliptical glider. Before purchasing an elliptical machine, you need to consider if you have space for it. Measure the area of the room in which you want to put the elliptical and imagine if it can comfortably fit in the room without it feeling too cramped. Some ellipticals can be up to 2 meters in length, so you must be ready for that kind of space to be taken up in your home. For the most part, ellipticals will remain in the same place. However, there are some models of ellipticals which can fold up in half and be stored in a corner of the room. If you opt for a model that does fold up, read reviews on whether the mechanism works well and if people consider it easy to put away. Workouts are all about what you put into them and an elliptical workout is no exception. You can operate all types of elliptical trainers manually to create your own workout or you can follow the pre-programmed workouts available on the machine. All elliptical trainers will engage your quads, hamstrings, and buttock muscles when exercising. If you only care for the lower body workout and cardio aspect of an elliptical, then a regular elliptical trainer or a glider will be perfect for you. If you desire a total body workout, you’ll want to opt for an elliptical cross-trainer which will engage your upper body as well as lower body. Extra features on an elliptical might include heart rate monitors in the handles or tons of built-in programs for you to follow along to. Some ellipticals even offer the option to let you create your own programs. You can figure out which of these features will be important to you by trying out ellipticals at sporting goods stores or at your local gym. Some elliptical trainers can sound like a freight train whereas others glide smoothly and quietly. 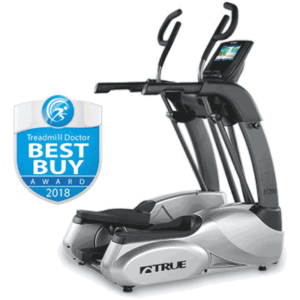 If you want to be able to watch TV while you work out or don’t want to disturb others, opt for an elliptical which has great reviews on sound level. 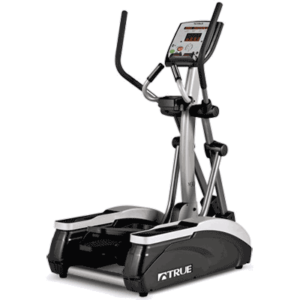 Ellipticals built for commercial gyms typically cost several thousands of dollars because they are built to stand up to near constant daily use. 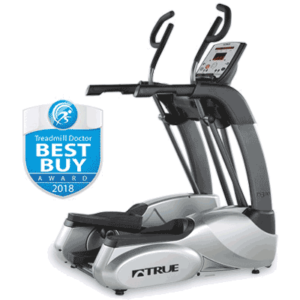 If you believe you will be using your elliptical that frequently, you’ll want to find a model that has great reviews for performance over time. However, you can find models that are built specifically for at-home use which are less expensive. In general, expect to pay between $2,000 – $4,000 for an elliptical. Nearly all elliptical machines will require some assembly once it arrives at your home. Most manufacturers will provide the tools necessary for assembly. Before making a purchase, do some research to see how easily other reviewers could assemble their elliptical. This can save you a headache by avoiding a notoriously difficult-to-assemble machine. When ordering any major piece of equipment, you want to check what the manufacturer’s warranty is. In the case of an elliptical, you will want a long-term warranty for the parts. Short term warranties are generally an indication that the manufacturer doesn’t believe its equipment will last for very long.